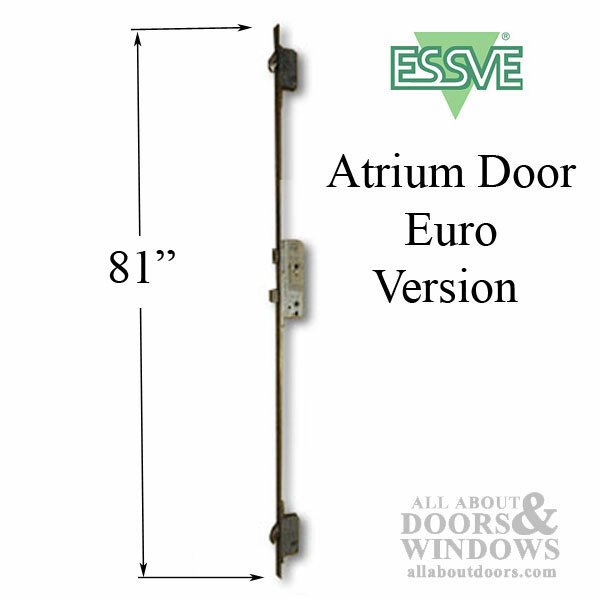 Used by Atrium Door, Pease Door and Marvin. 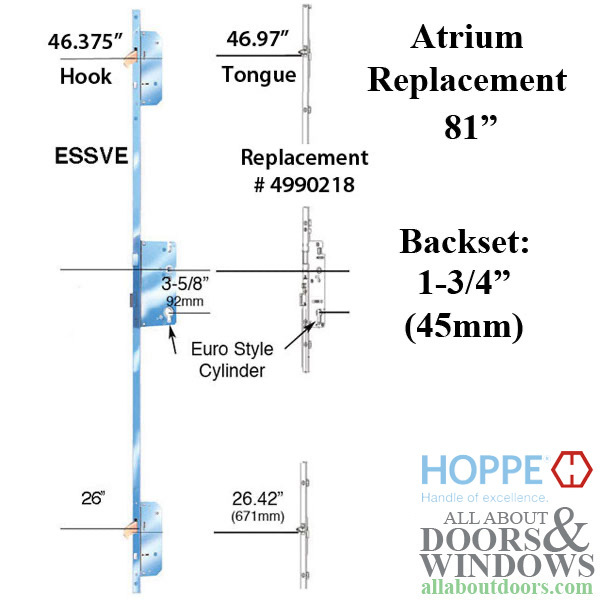 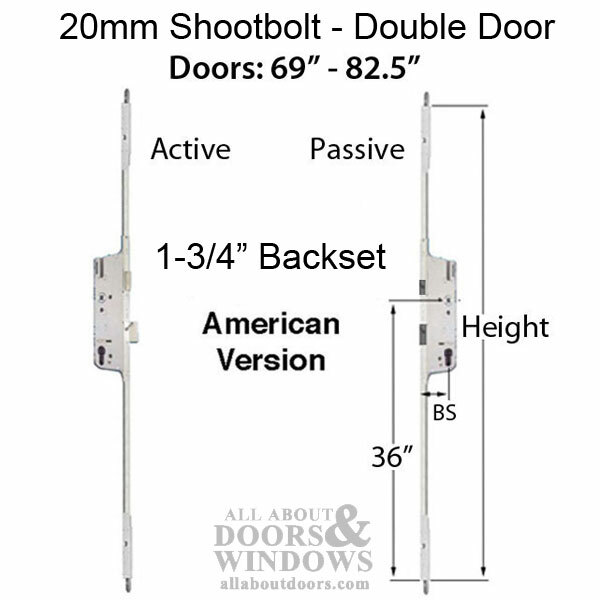 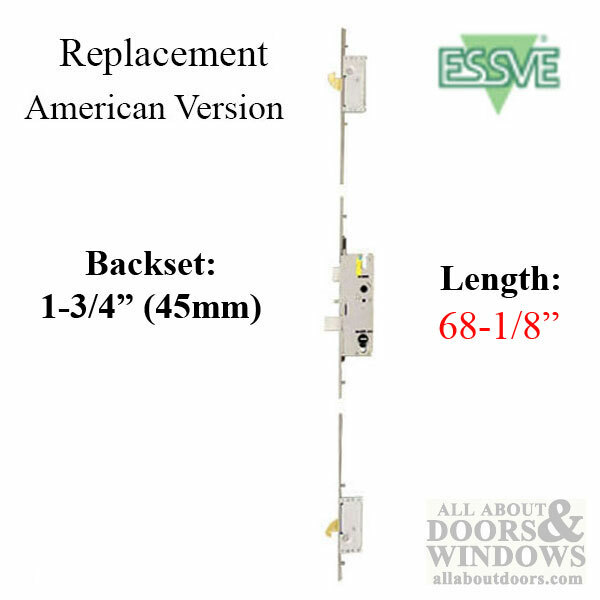 We offer ESSVE replacement hardware by Amesbury and Hoppe on single doors. 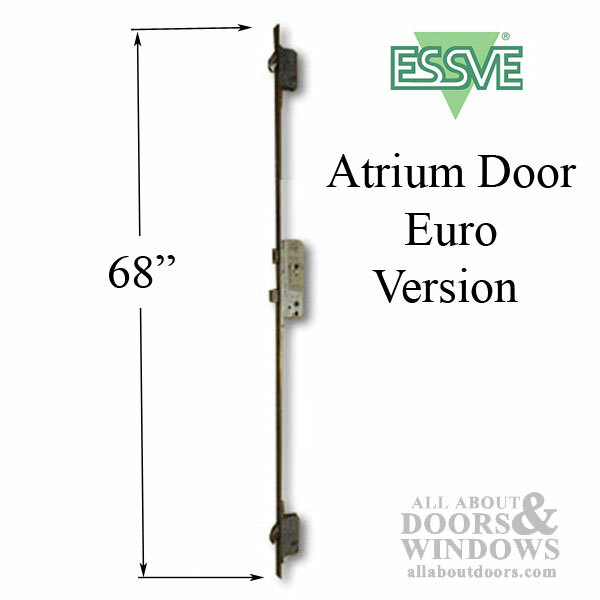 ATRIUM DOORS: The original handle set trim for Atrium (Euro Cylinder Version) will not work; new trim is required. 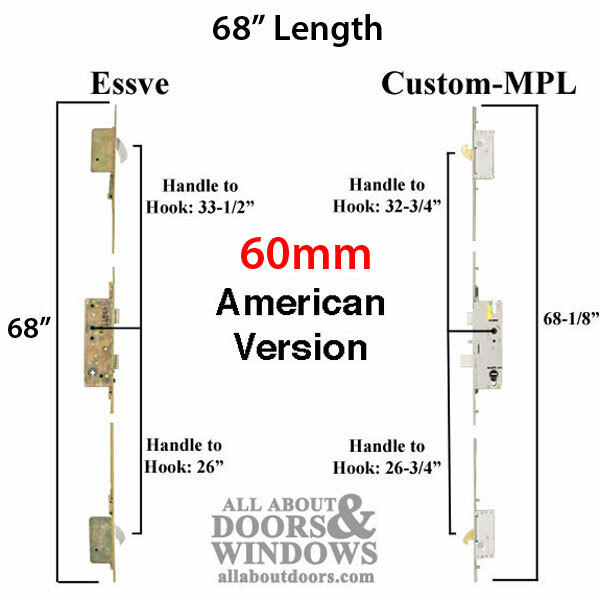 MARVIN/PEASE DOORS: Modifications required to the lock body cylinder hole where the bottom screw goes though (a little tight, needs to be slightly enlarged with rasp, this may void warranty). 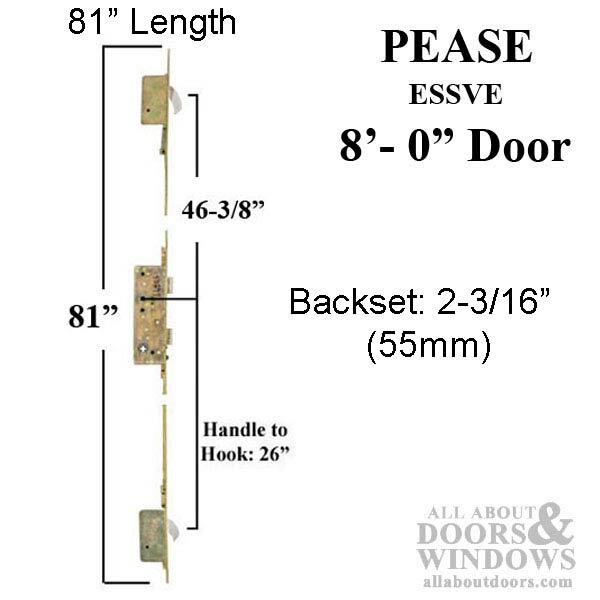 PEASE: Different bore hole spacing than others; the handle set trim was 2-3/8" wide, and send it to us contact us here if this is the case.